← How to make a mistake. 18°C, heavy showers, then sunny. Poor car, it needs some work, but the cost could be equal to a new replacement. If not new, nearly new. Therefore, I’m shopping around. First way to eliminate a car is to sit in it. Almost all cars are too small. Most cars have too little headroom. I don’t want my hair brushing against the ceiling, what happens over a speed-bump? 1, Audi A4, fits and promises good handling. Not able to test drive today, but it remains high on the list. 2, Skoda, related to VW so should meet the first criteria. Slightly ugly. 4, Seat, another VW clone. Better looking than n.2. The salesmen often ask what colour I want. It doesn’t matter, I can’t see the colour from inside. And I am not going to stand around looking at it from outside, I have better things to do. I explained how I’m too selfish to care what other people think of my car. I want it to be fabulous inside- where I will be. Volvo were willing to do a test drive, in the end, two. The first was the big V70, bigger than my Passat. It felt big but refined. It stood a little uncertain on the road, but nothing like the wallowing motion I have to live with currently. 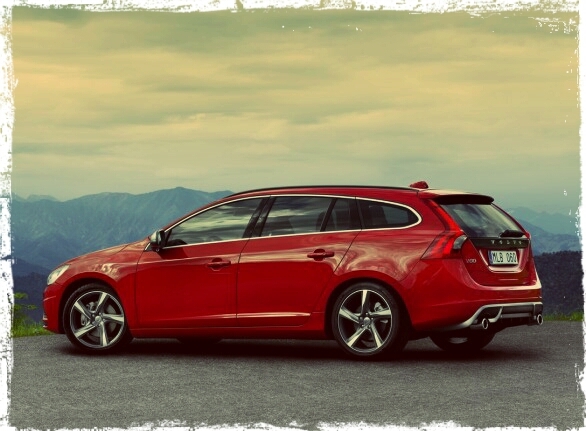 Then V60, a slightly sporty version with stiffer suspension and it was immediately obvious that it was great. The D4 engine was probably more powerful than I need but the R-design suspension was excellent. I had the fizzy feeling! Online reviews have said the R-design’s ride is too hard. Are they written by middle-aged men who’s core strength makes the shaking a problem? This entry was posted in Driving and tagged Audi, car shopping, Seat, Skoda, Volvo. Bookmark the permalink.